Enjoy watching at all distances with Distanza Multifocal contact lenses, quality at incredible prices. 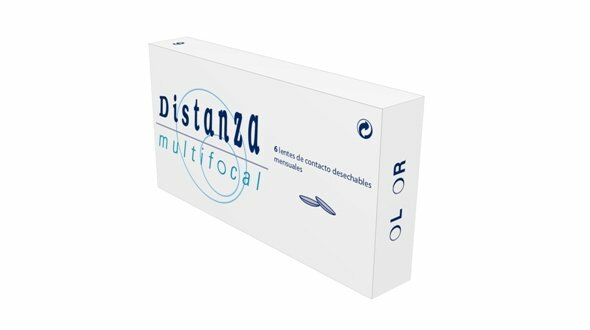 Distanza Multifocal lenses are contact lenses for daily use and monthly replacement, indicated for presbytes of any age. These cheap lenses have two levels of addition: AD Low (LOW) - Profile 1 covers additions from +0.75 to +1.75 diopters, created for users under 50 and AD High (HIGH) -Profile 2 with additions from +2.00 to + 3.00 dp, for patients over 50 years of age. Its manufacturing technology is based on its multiconcentric geometry, based on the transfer modulation function (MTF). For astigmatisms less than one diopter. The parameters of these online lenses constitute a single radius of 8.60 mm, a single diameter of 14.30 mm and graduations for myopia of up to -6.50 dp and +8.00 dp for hyperopia. The material with which it is manufactured is Methafilcon IV nonionic and with medium hydration of 55% water, making the lens stay hydrated in the eye during the hours of use. Distanza includes a blue dye in its material to facilitate handling, making it easily visible inside and outside the lens case, helping the lens does not get lost or broken when handled (do not break an edge when closing the case). The maintenance is very simple, we only have to use a single solution or peroxide for cleaning the surfaces, rubbing in an elliptical way and keeping in the same solution during the night a minimum of 6 hours so that the cleaning agents of said solution act correctly. only. The presentation of these contact lenses online is in boxes of 6 units emblisted. Why should I choose multifocal monthly lenses? It is cheaper than a daily if you use it every day, you start it and change it every month. The graduation can be updated every 6 months, so you are always looking good. If a lens is damaged or lost, you can replace it with another without waiting for heavy fabrications. The adaptation of these cheap lenses is very easy, with a high percentage of success, providing patients with good vision both far and near and at the same time a more positive and youthful personal image. Distanza Multifocal provides a clear vision both far and near, ideal for people who start with presbyopia and want to get rid of prescription glasses, maintaining the same quality of vision. 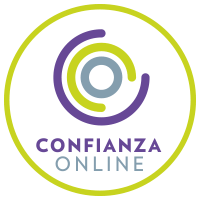 Distanza is a brand of monthly multifocal lenses manufactured by Tiedra Eurolent. In Prodevisión you can buy cheap Distanz contact lenses at very economical prices. 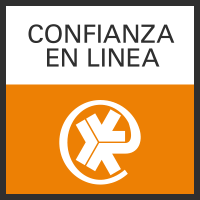 Buy cheap contact lenses Distanza in Prodevisión with secure payment.